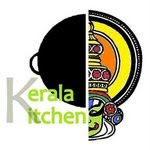 Magpie's Recipes: Lonan's Tender Coconut Pudding for The Kerala Kitchen! Lonan's Tender Coconut Pudding for The Kerala Kitchen! I have wanted to make tender coconut pudding for a while now. Finally when my father brought home a bunch of perfect tender coconuts from, of all places- a charity auction for the local church community, I jumped at the chance. Divine providence, even in matters as small and unimportant as my longing for tender coconut pudding ! This recipe is from Lonan, a famous cook in Kerala who's recipes are hailed as being fail-proof by my mom and aunts.One bite of this silky smooth, refreshing tender coconut pudding and you will be transported instantly to the almost assaultingly green and peaceful Kerala. I have been having a happy but hectic past month here in India, hence the lack of updates. Hope you have all been well and those in the US had a good thanksgiving feast and ate an extra slice of pie for me since I left before I could bake even one, though I did have more than my fair share last year! Here its cloudy and chilly with the heavens threatening to pour down on us and warnings of floods and dams bursting. All around sombre reminders of how much at the mercy of God and nature we always are..
Inspite of the gloomy weather I have been having a wonderful time with my family and friends here who I am meeting after 3 long years. Been trying to take a break from the Internet and maximize our time visiting my mom-in-law and watching mallu movies, managing to do a little bit of shopping and lots of cooking and baking up a storm with her as she is an awesome baker herself and makes the world's BEST tea cake.Her cook Sarah also taught me finally how to roll and make the perfect fluffy fulkas and crispest dosas! I also had the awesome opportunity to renew my spiritual life through a Catholic retreat for 5 days. So that's where I was the last week, in total peace, away from the pull and tug of everyday distractions and really close to God and learning so much more about my faith. During my self imposed Internet break, I received the nicest surprise- my first ever DMBLGIT (Does My Blog Look Good in This) Photography Award! for the picture in my post here. Am thrilled beyond words! Fajeeda, here is a delicious tropical dessert full of the taste of Kerala for your roundup! Tender coconuts are easily available throughout India. When we make our road trips to Kerala to visit family us kids used to keep a sharp eye out for roadside vendors selling tender coconuts.They hack the tops off the coconut with a long sharp knife, stick a straw in and give the refreshing drink to you right there in the coconut shell. It is the perfect thirst quencher in the summer heat and even safer and healthier than bottled drinks. The best part of course is when you are done with your drink, they will cut it open for you along with a spoon shaped piece of the shell so you can gorge on the tender, delicate flesh, which is the star of this pudding. Most often the delicate flesh is eaten as is or chopped into bits and mixed with the water, but this pudding is a delicious way to use it. It is no means a traditional sweet dish and my grandmother calls it a "new" pudding which was very popular during my mother's and aunt's wedding times. The recipe here is from a famous cook in Kerala called Lonan. My mom thinks that the origins of this pudding may have been somewhere like Hawaii or even the far East and not Kerala although nowadays such chinagrass/agar agar puddings are really common here. Since Chinagrass /agar agar based puddings set even without cooling or refrigeration, it is perfect for Indian power cuts and voltage problems that I have had a tough time getting used to again! With my luck it seemed that every time I popped something into the oven there would be voltage problems :( Thankfully this pudding doesn't need you to turn the oven or even the fridge on, and it can even be made with different fruits or even chocolate, though I like this version the best and you can serve it at room temperature or slightly chilled as I prefer. Since the agar agar makes this pudding set like jelly, you can have fun making this pudding in different shaped moulds. You could stand the moulds in warm water for a few minutes to make demoulding easier. We served this topped with a scoop of tender coconut icecream from the brand I LOVE in India called Naturals almost as much as I love my other favourite ice-cream store Jenis in Ohio. It is awesome just on its own as well as with a sprinkling of cashew praline. Will be trying a variation of this with other fruits including mango, very soon. The tender coconut water can be substituted with the fruit juice in that case. Am also sending this to A Sweet Punch a sweet event this month with the theme being your choice. Yum yum, who will say no to this incredible pudding,super delicious. My fav pudding...Congrats on the award. Reminds me of the pudding we getat Ente Keralam in Madras. Simple and refreshing. Tender coconut pudding is a melt in the mouth rose. Pics are so natural. Thank you all! Hope you try it and let me know what you think! Your pudding seems to have set well. I also tried this just a couple of days back, but somehow it never set. We drank it like payasm..don't know why..will be trying again. oh no! I wonder what happened :( Did you set it in the fridge?